Ten year old Nicole Lowe didn’t get to sleep in on her first day of spring break. 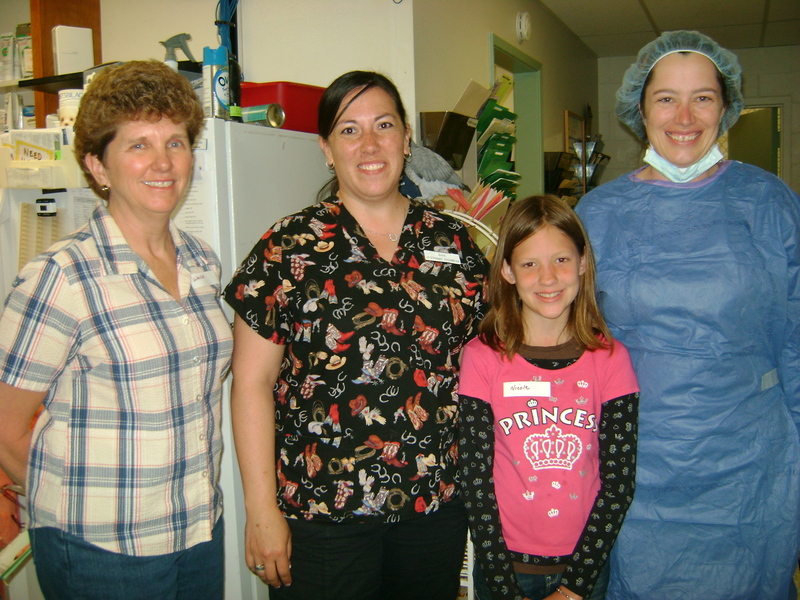 The Bidwell School 4th grader was up and out the door on April 18 to experience life in a veterinarian’s office with her mentor, Wanda Schuler. The two took advantage of Nicole’s more flexible schedule to meet up with veterinarian Megan Fox-Chow and vet tech Ana Rodriguez at Valley Vet. Nicole, a self described animal lover, had expressed to Schuler an interest in veterinary medicine. “Every animal that I come near, it just likes me,” says Nicole, “even if it’s a mean one.” As a mentor in the Tehama County Mentoring Program, Schuler sought out the opportunity to have Nicole spend some time with a female veterinarian. 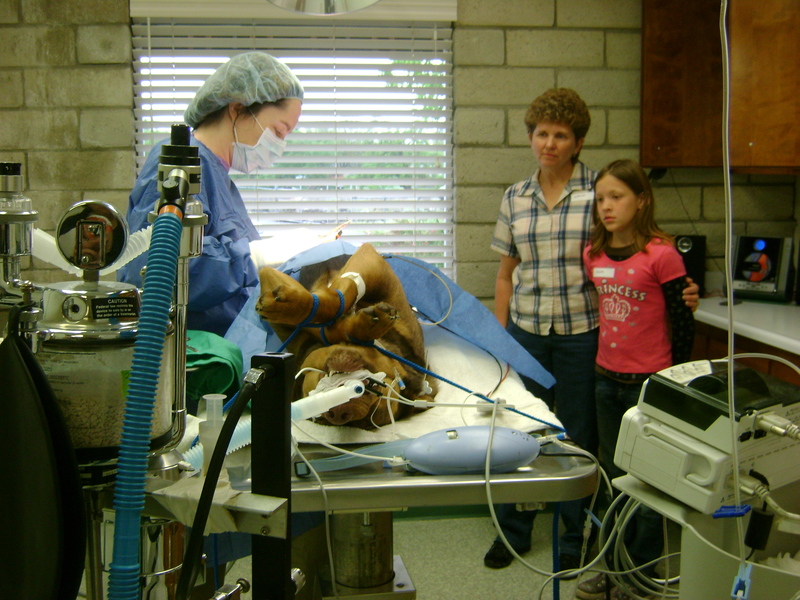 When Nicole became a little squeamish observing a dog being spayed in the surgery room, Dr. Fox was quick to let her know that she too had gotten a little light headed observing her first animal surgery at her family vet’s when she was Nicole’s age. “And now look what I’m doing!” she said as she expertly stitched the dog back up. Ana Rodriguez, who found an interest in veterinary medicine through the Regional Occupational Program at Corning High School, explained the variety of ways someone can enter the field without becoming a veterinarian. Rodriguez, a veterinary technician, has a Bachelor’s of Science degree from Cal Poly, San Luis Obispo in Animal Science. She loves her job working with animals and appreciates the more regular hours she gets to keep as a vet tech. This gives her more time to spend with her own animals, cattle in Paskenta. There’s that, and the support of a caring mentor. This story appeared in the Red Bluff Daily News on Wednesday April 27, 2011 and can be found here. 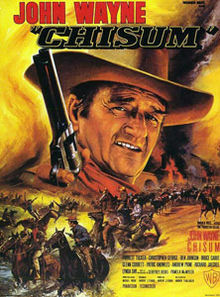 Mentors and Mentees are invited to a very special group outing on Friday, April 8 to see John Wayne’s “Chisum” screened by Shasta College Humanities Through Film students taking the course at the Red Bluff campus. The college students have designed lobby games and activities at 6:30. The movie screens at 7:00pm. “Chisum” is screening as part of the “Weekend of Westerns”, which is part of the “11 Days of Round Up.” The Tehama County Mentoring Program is pleased to join this community celebration.